The 2013 season begins a week from today. 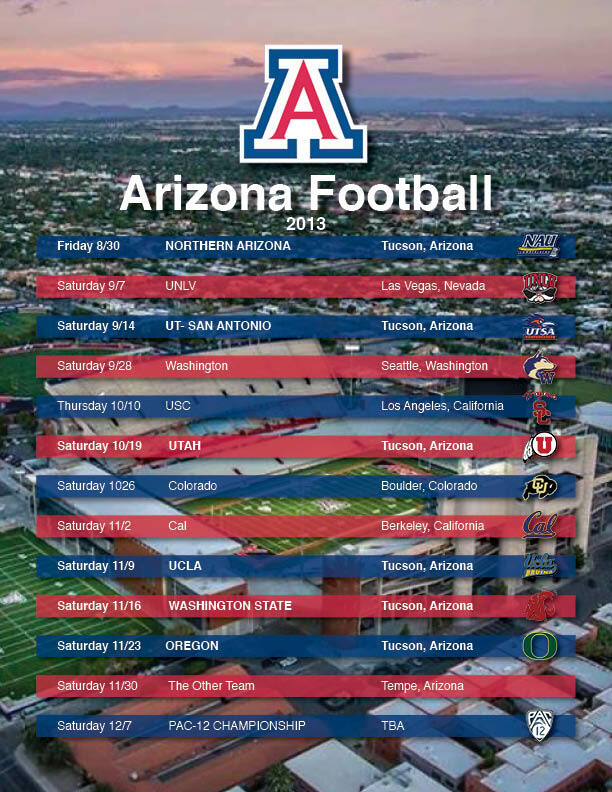 I have created this printable schedule to help Wildcat fans follow the team and show their pride. I thought I would also make a bold prediction for the season. I have the Cats going 10-2 with their losses coming at USC and at home to Oregon. That should put them in the Holiday Bowl or the Sun Bowl. Here’s to a great season. BearDown Arizona!